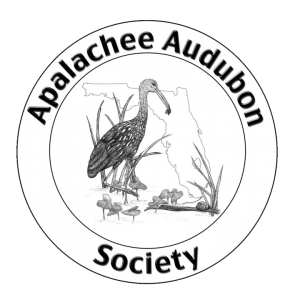 Apalachee Audubon Society is interested in helping the community create bird friendly gardens. To that end, we have sponsored guest speakers at our program meetings that are open to the general public such as "Native Pollinators" (February 2016), "Landscaping with Native Plants for Wildlife" (2015), and "Your Yard Matters: How to Landscape and Maintain Your Yard in an Environmentally Friendly Way " (February 2017). We have also sponsored bluebird house builds. In addition, every February Apalachee Audubon leads a "Tour of Wildlife Friendly Yards" which features five local yards, chosen not only for bird feeding activities, but for the quality of wildlife habitat as well. If you are interested in converting your yard from a typical yard to one that is more beneficial to birds and other wildlife, there are many resources available to you. Some are on-line and are listed below. There are also many excellent books with local or state-wide content. Don't overlook a person-to person approach to learning by attending programs and workshops that are offered through AAS, local nurseries and UF/IFAS Leon County Extension. For instance, Native Nurseries offers a free program "Planting a Refuge for Wildlife" as their first program of the year every January and offers other more specific topics such as gardening for hummingbirds, butterflies, wildflowers, bluebird house builds throughout the year. Definitely go on garden tours, both the Wildlife Friendly Yard Tour and the Maclay Gardens Tour of Yards in May, which often includes at least one good example of a yard with habitat landscaping. One of the best resources for our area is a booklet, Planting a Refuge for Wildlife, recently updated and published by the Florida Wildlife Commission. It is available locally or can be mail-ordered from FWC for 4.99 plus tax and shipping. When you are researching plants for your yard, you can use this guide, as well as referencing some of the books listed below and Audubon's Native Plants for Birds database (www.audubon.org/native-plants). Talk to other gardeners and nursery personnel. Another must read is Doug Tallamy's Bringing Nature Home. He really captures the essence of why native plants are so important to birds. 1. If you only do one thing for wildlife, plant native plants. You do not need to do this all at once. Start by removing invasive plants such as nandina and ardisia and replace with native plants of your choice. Your yard does not have to be 100% native. We try to increase the percentage of native plants in the yard every year, working around some of the really nice non-natives already there such as azaleas and camellias. Why native? Native plants, from grasses and wildflowers to our towering shade trees, form the base of the food chain. Our native insects are uniquely adapted to eat our native plants; some are generalists and can eat a variety of plants, but many are specialists that can only handle certain types of leaves based on the chemistry of the plant. For instance, the luna moth would not be with us without sweetgums and a few other native hardwood trees. Each female luna moth may lay 150 eggs, which then become 150 highly nutritious caterpillars, which in turn feed chickadees, vireos, spiders and more. This is why the base of your home landscape should consist of native plants. 2. To create habitat, think in layers of plantings - canopy trees, understory trees, shrubs, herbaceous plants, leaf litter and soil. The booklet, Planting a Refuge for Wildlife comes in handy when planning for wildlife. It also includes information on pollinators, invasive plants, importance of snags and water for birds. Most of all, just get started in some small way. Look at the transformation of your yard as a process over the years and look at the work to be done as healthy exercise. Share what you learn with others in your neighborhood and take it one step further by working with a local park or schoolyard to remove invasive plants and plant native trees.